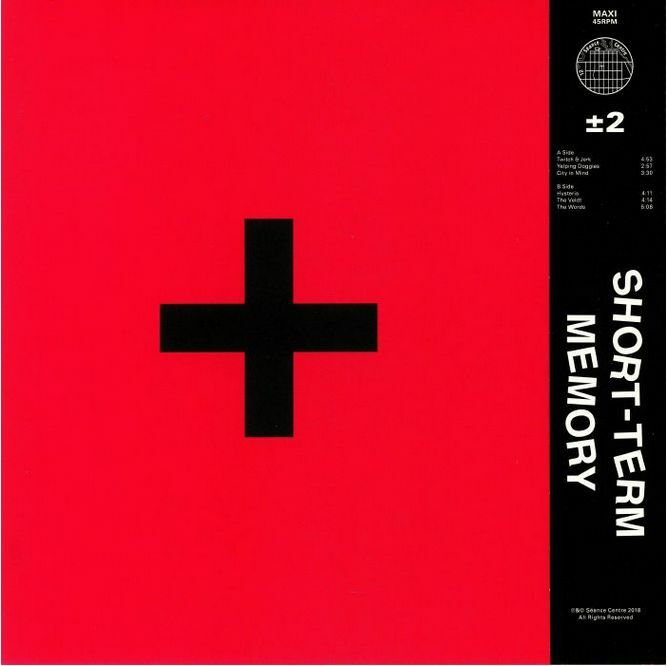 Plus or Minus Two compiles four songs from Kansas City wave pioneers Short-Term Memory’s first cassette album, Every Head Needs Cleaning, with two previously unreleased tracks recorded in the 90s. This EP focuses on the group’s prescient dance-floor DIN-sync workouts which share sensibilities with contemporaneous early Detroit experiments by Juan Atkin’s Cybotron, Ron Hardy’s visionary Kikrokos tape edit, Shoc Corridor’s extended 808 exercises, and 90s Techno Pop by Haruomi Hosono. Rounding off the EP is the existential electronic soul ballad Words. Remastered from the original reels, 45rpm DMM pressing.